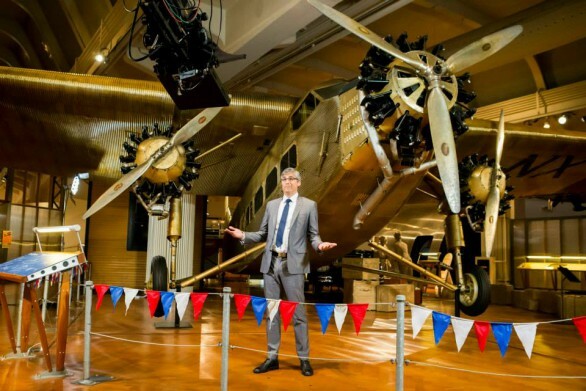 The Henry Ford has decided to present its programming in completely new ways on digital channels, which is fueling growth in audience, revenue, and reputation, and opening the organization to new opportunities. The Henry Ford, founded in 1929 by automotive innovator and industrialist Henry Ford, is a sprawling, 220+ acre history complex in Dearborn, Michigan. As the state’s largest cultural tourism destination, it drew 1.65 million visitors last year to its multi-venue campus. The 27 million artifacts that make up The Henry Ford’s collection, starting with those in the 12-acre Henry Ford Museum, represent uniquely American approaches to innovation, ingenuity, and resourcefulness. Greenfield Village, The Henry Ford’s outdoor living history compound, includes more than 80 historic buildings that were collected from around the U.S. (and a few from England), and relocated to Dearborn. The Village includes buildings like Thomas Edison’s Menlo Park laboratory, Robert Frost’s Ann Arbor home, the Wright Brothers’ bicycle shop and home, and Luther Burbank’s Garden Office. The Henry Ford complex also is home to the Henry Ford Academy, a 520-student public charter high school. The publicly accessible Benson Ford Research Center and an Imax Theater round out on-site offerings. The organization’s leaders predicted they could grow their audience, revenue, and reputation, by uniting their five main venue identities under a single umbrella brand, The Henry Ford (THF), focused on American innovation. Leaders forged the new identity to look forward rather than back, to build audience expectations and appetite for programs that are future-facing and contemporary, but grounded in and informed by history. “Gain Perspective, Get Inspired, Make History,” is THF’s tag line. 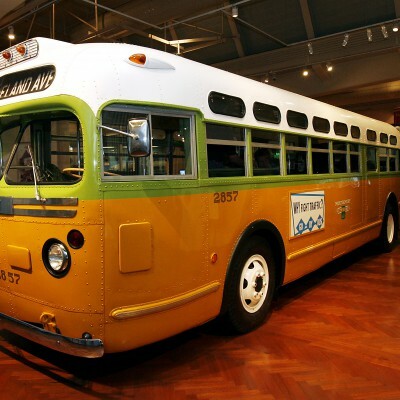 The strategy has paid off in multiple ways, beginning with a significant increase in The Henry Ford’s membership base in a relatively short time period. Once the “single message” strategy took root, digital strategy to support it fell into place. Instead of an array of micro-sites, digital “channels” were developed for the main website that aggregate the collection into broad theme areas, ones not defined simply by their physical venue. Staff chose themes that are easy to communicate, search for, build on, and share. The six themes they selected are On Wheels, On Design, On Living, On Making, On Learning, and On Innovation. Today these themes define THF’s social media, events, and content marketing strategies. THF is encouraging the growth of enthusiast groups around each channel and is developing new digital programming to appeal to and involve them. While each channel has plentiful reference points across the Museum, Greenfield Village, and Resource Center collections, each also has the potential to foster new programming that is media-based, not collection-based. For example, for the On Innovation channel, THF has developed a series of video interviews with leading innovators around the world. More recently, THF premiered a new weekly television series on CBS, Innovation Nation, with host Mo Rocca. Such theme-based initiatives and THF’s broader social media activity have an enormous and growing digital reach, to more than 3 million annually. Significant digital infrastructure is needed to support the new “one message, many channels” strategy, beginning with digitizing the collection. Digitization, an on-going, multi-year effort, was approached from two perspectives. First, managers say they are “democratizing the collection,” by making it fully accessible to the full staff to use creatively in their work. Second, the digital asset management architecture required flexibility in its technical design to help staff anticipate and develop new business ideas and ventures. THF’s digital team speaks frequently at industry conferences about its digital collections’ architecture and THF’s website redesign by Perficient Digital won a 2016 Silver MUSE Award from the American Alliance of Museums. Leaders also recognize that as THF’s digital reach grows, the digital experience must be competitive with that of other attractions – including for-profits like Disney, Six Flags, and closer to home, the Cedar Point amusement park in north central Ohio. Recently THF created a full-time position to lead digital experience development, and hired an industry expert to fill it. He’ll help shape future design and usability, and work to make the digital experience more consistently high quality across THF’s extensive set of digital properties. Visitors to the Museum can use THF’s digital infrastructure creatively, thanks to interactive exhibits. Touchscreens allow visitors to explore specific objects in the collection and then save them to a personalized account they can visit later from their home computer or mobile device. Some touchscreens incorporate interactive and educational games. THF also is working to integrate correspondence, sound recordings, and other archival material from its Resource Center into its exhibit areas. 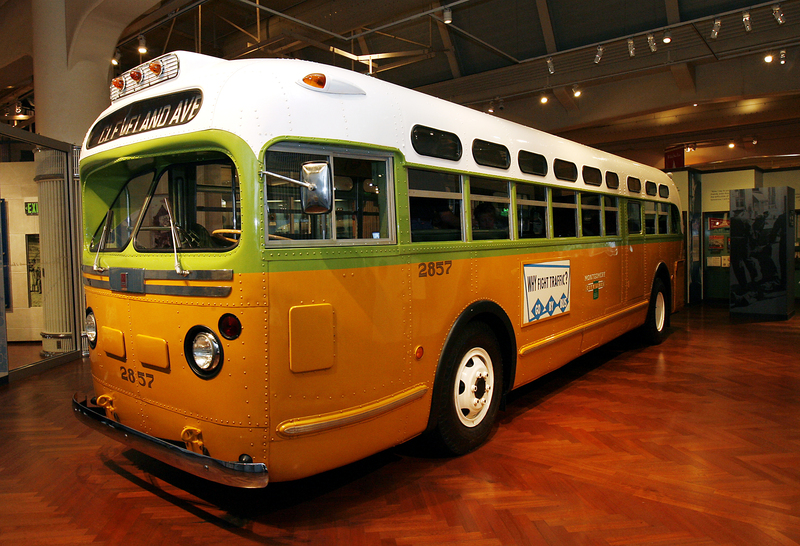 For example, when visitors board the historic bus on which Rosa Parks refused to give up her seat in 1955, they hear an audio interview with Mrs. Parks describing the historic event that helped trigger the Civil Rights Movement. THF has been investing in digital capability for more than 10 years. Staff describe the overarching question as one of relevance. Are they making sure that THF matters to people today? Are they building an avid fan base for their programs? How can they cultivate and grow the audience for their mission? They describe a fundamental change in the institution toward “audience centricity.” Through digital channels and projects, they are trying to get closer to their audiences, learn from them, and then apply new insights to fuel audience interest and growth. Beyond growth in national awareness and audience size, THF also considers growth in revenue as a success marker. Among revenue sources for digital media, THF has developed sponsorships, content syndication deals, and sale of images. More robust e-commerce sites for ticketing and the THF store are also helping to build digital revenue. As traffic increases, larger sponsorship appeals are boosting revenue by including digital as well as in-person marketing opportunities for sponsors.